Can having a sense of purpose in life help people live longer? According to one definition, a sense of purpose is characterized as "having goals in life and a sense of directedness; having aims and objectives for living." Those of us who live with cancer are clear in our broader purpose to remain as healthy as possible, pain free and enthusiastic about life. But within those rather straightforward goals live significant numbers of individual plans, hopes, endeavors, dreams and resolutions. These are the elements of our lives than not only define what we hope for, but who we are. 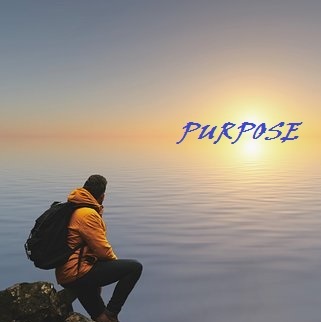 A new study published in the journal Development Psychology demonstrates that having a purpose in life is especially important in successful aging. Cancer survivors with a developed sense of purpose and who can adapt to their changing lives by finding new ways of achieving that purpose are able to stay mentally and physically active longer. Not only does that improve emotional well-being, but it can also mean a longer and more productive life, according to the studies. As an example, and there are many, J.R.R. Tolkien wrote the first volume of his Lord of the Rings trilogy when he was 62 years old. Of course, most of us are not obliged to become a famous artist or writer in order to find our own sense of purpose late in life. I was 60 when I first started learning to play the piano. And while I would never consider playing in front of an audience, I find great joy in plunking about on the keys and writing songs. The range of different activities open to older adults is probably greater now than at any time in history and finding a passion and a sense of purpose can be an important part of staying healthy as we move forward with our cancer, or any life-threatening disease. January is traditionally the month for new resolutions, new goals and compelling inspiration. As a breast cancer survivor, I gain great strength in following and supporting fellow cancer survivors through blogs, chat rooms and support groups. When we work alongside our friends and family to hold each other accountable for reaching our goals, the chances for success are greatly enhanced. More than once in my life, both pre and post cancer, I have queried myself about my purpose and my reason for being a part of the human experience. This of course is the question asked by scholars and scoundrels, philosophers and fools—all of humanity since the beginning of thought. It’s a bit like asking, "why did I get cancer?" Don’t wait for an answer. There isn’t any. An easier question, or at least one that we can make sense of might be, "how do I want to spend these final years (days?) of my life? And how does this align with my purpose for living?" The irony is, the harder we "look" the murkier our path can become. "Purpose" is built in. It’s hardwired. We don’t need to have cancer to see it. We don’t need to have pain or tragedy in our lives to know it. Whatever that unfulfilled desire is buried deep in your heart it’s probably a clue to your purpose in life, so grab on to it like a slippery fish in the water and hang on with all your strength until your fingers are numb and your resistance is shattered. And then, just do it. Get it done. You don’t need to traverse the world with a mission or write the great novel to find purpose in your life. You’ll know what it is. You’ve always known. It’s that slippery fish. Thank it for being your great teacher. Wish it all the best, the very best that your heart can feel and then gently place it back into the water. And feel nothing but pure joy as you watch it swim away, to its own destiny, never to be seen again. Stand on the shore of your life and look out and over all that’s transpired and then turn around and notice your path ahead. It’s the time you have remaining. There may not be all that much left on the trail. But one thing is certain: Your purpose will come into focus, and the view will be spectacular!